WHAT : The University of Missouri Graduate School is hosting Mizzou Adventures in Education, an educational workshop for children. 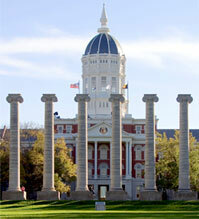 The event will feature more than 30 learning activities taught by MU graduate students. Some of the activities include: a German castle, a real cow, making cheese, computers, stained glass, Missouri wildlife, physics and voting. WHO: Activities are for children in kindergarten through 6th grade, but all family members are welcome. NOTE: The event is free and open to the public. Free parking is available in Turner Avenue Garage, just across the street from Reynolds Alumni Center.